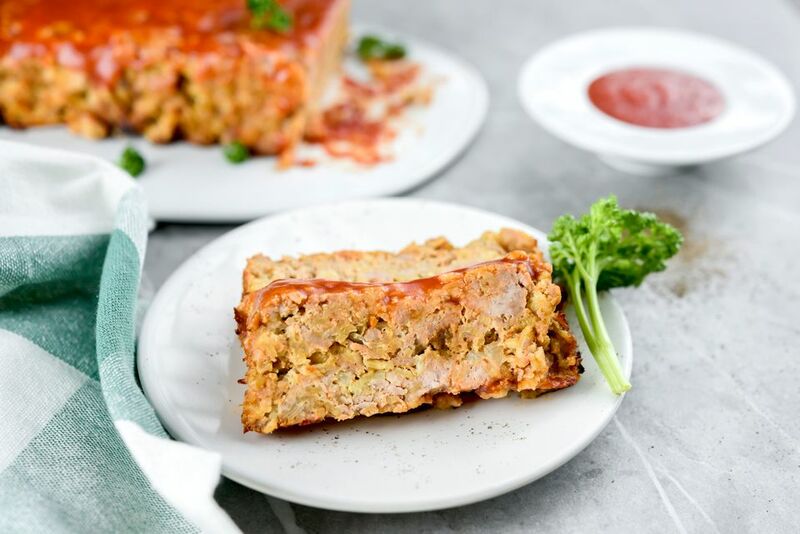 This turkey meatloaf is made with oats as the filler, and it's seasoned with onion, garlic, and Worcestershire sauce. Ketchup or chili sauce tops this well-seasoned meatloaf recipe made with ground turkey. Serve this tasty turkey meatloaf with mashed or roasted potatoes and a tossed salad for a fabulous family meal. Gather the ingredient and heat oven to 350 F.
Grease or or spray lightly with cooking spray an 8 1/2x4 1/2-inch loaf pan. In a mixing bowl, combine the ground turkey with the egg, oats, onion, garlic, Worcestershire sauce, poultry seasoning, salt, and pepper. Add 1/2 cup of the chili sauce or ketchup. Reserve the remaining chili sauce or ketchup for topping. Mix the ground turkey mixture until well blended. Pack into the prepared loaf pan and bake for 1 hour. Top with the reserved chili sauce or ketchup and bake for 10 minutes longer. Let the meatloaf rest for 5 to 10 minutes before slicing.